The Borrower has a background in property development and has completed several residential developments in Queensland. 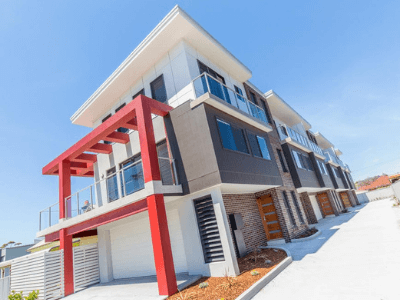 The Borrower was looking for funding to purchase a site for a townhouse development which would consist of 12 three-storey townhouses in the Brisbane suburb of The Gap. The site was valued at $900,000. The Development Approval was not yet issued by council. The Borrower was unable to secure bank finance because the bank was requesting 50% presales for another project at St Lucia. The Borrower only required one more sale for the St Lucia project to make 50% presales and believed this sale would take place within two months, however settlement for the site of the townhouse development was inside this timeframe. Private Mortgages Australia was able to lend $540,000 at a 60% LVR with an interest rate of 13% per annum. The loan has capitalised interest for three months plus extensions. PMA settled the loan in eight business days from the date of acceptance of the Indicative Letter of Offer. The Borrower intends to refinance with their usual bank once presales have been achieved for the St Lucia project. The Borrower was so impressed with their experience working with PMA that they have now requested a quote on the Senior Construction Facility.